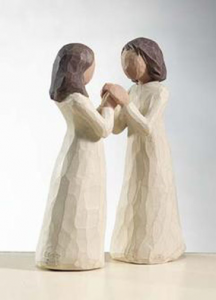 ● Friendship Willow Tree Figures: From music boxes to angels, the friendship-inspired collection of Willow Tree figures in our selection is perfect for saying, “Thank you for being there, friend!” when you need to celebrate a milestone in your relationship or simply send a bit of cheer. ● DaVinci Bead Charm Bracelets: Create a bracelet that brings together your friend’s interests, birthstone, favorite colors, and more in a completely unique and buildable bracelet that she’ll absolutely love! ● Angel Star Decorative Plates: Perfect for display in her home, Angel Star decorative plates are designed to make an impression. Choose from several colorful designs to find the perfect one for any occasion. Bring one over the next time you’re invited for coffee or a glass of wine! In addition to these gift suggestions, you can also say “thank you” to a dear friend by cooking a meal that can be shared, sending flowers, or even just giving that person a phone call to say that you’re grateful for the love, laughter, and memories! No matter how you choose to celebrate friendship, you can’t go wrong! Expand your Disney character collection with beautifully crafted Jim Shore Figurines from CoppinsGifts.com! From princesses and Frozen characters to Winnie the Pooh and Mickey and his friends, there’s a figurine for every Disney enthusiast. Princesses: Which Disney princess is your favorite? Jim Shore has artfully reimagined many of the princesses, including Ariel, Snow White, Pocahontas, and Rapunzel. 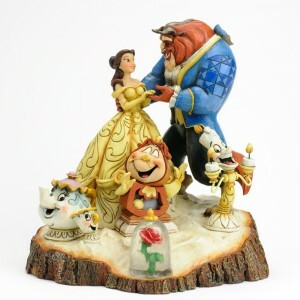 For the lover of Beauty and the Beast, not only is there Belle by herself in a dainty pose, but also a figurine featuring her, Beast, Mrs. Potts, and more of their friends! Frozen Characters: These are some figurines worth melting for! Choose from Elsa in the Ice Castle dress, the Sisters Forever figurine featuring Elsa and Anna, or the Silly Snowman figurine featuring Olaf. Winnie the Pooh: Jim Shore’s Winnie the Pooh figurines are unique adaptations of the beloved Hundred Acre Wood characters. Find figurines of Pooh and his bowl of Hunny, or Eeyore in his sad-but-still-adorable pose. Mickey and Friends: Collect Mickey and his friends Dumbo, Tinkerbell, and Jiminy Cricket! Mickey is available in a Modern Day Pose figurine and in two season’s greetings options, and Dumbo and Tinkerbell are also Christmas themed. Jiminy Cricket carries an Official Conscience badge, reminding us to stay on our best behavior. With artistically carved Jim Shore Figurines, there are plenty of breathtaking options to grow your collection of characters or get the perfect gift for someone who loves Disney! Which one would you like to call your own?